THOMAS S. TISDALE (publisher) is a lawyer and writer living in Charleston, South Carolina. 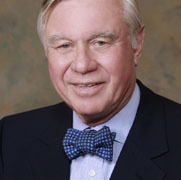 He is a former president of the South Carolina Historical Society and the South Carolina Bar. He has served on the boards of several schools and colleges and community-related non-profit organizations, including the University of the South and Spoleto Festival, USA. Tisdale is the author of the biography A Lady of the High Hills: Natalie Delage Sumter (University of South Carolina Press, 2001), and in 2004 was the executive producer of the play South by Julian Green, and has written a play in 2013, Truth in Cold Blood. He was a founder of SPCK/USA, the American branch of the oldest English missionary society that distributes Christian literature worldwide. STEPHEN HOFFIUS (managing editor) has edited dozens of books published by a wide range of publishers. The subjects include memoirs, plantation and church histories, novels, and exhibition catalogs. With Angela D. Mack, executive director of the Gibbes Museum of Art in Charleston, he prepared the award-winning volume Landscape of Slavery: The Plantation in American Art (University of South Carolina Press, 2008) and with Robert B. Cuthbert he edited Northern Money, Southern Land: The Lowcountry Plantation Sketches of Chlotilde R. Martin (University of South Carolina Press, 2009). He has authored non-fiction and fiction and even a comic book. 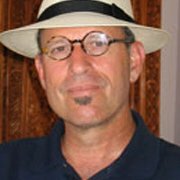 In 2011, the University of Georgia Press published Upheaval in Charleston: Earthquake and Murder on the Eve of Jim Crow on which he and co-author Susan Millar Williams worked for more than a decade. ELIZABETH W. HODGES (Vice President/Marketing) graduated from Wofford College and the Charleston School of Law. She lives in Mount Pleasant and works for Hellman, Yates & Tisdale, PA.
PAUL F. ROSSMANN is a graphic designer, book designer, and artist living in James Island, South Carolina.